You are here: Home>Herts history>Towns and Villages>Hertford>Mary Stout, Campaigner! What do you do when you suspect your child has been murdered at the instigation of the local political bigwigs? 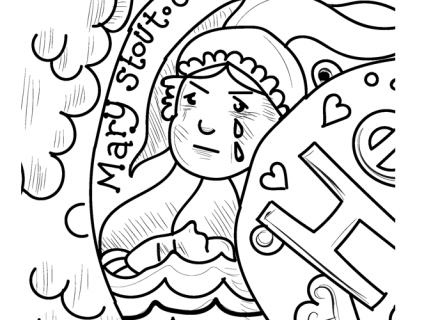 In 1699 the prominent Quaker widow Mary Stout was faced with rumours that her child had fallen pregnant by a married man and drowned herself while the balance of her mind was disturbed. Mary was an unusual and clever individual, being one of the few women to contribute to the polemical texts of the day with at least three religious publications to her name. Mary, a pillar of the Hertford Quaker community, could not allow these salacious rumours to gain hold. She was determined to both clear her daughter’s name and pursue the man she thought of as Sarah’s murderer. The coroner’s report, given on the day the body was found, used evidence given by a midwife and two doctors who inspected the body. As a Quaker, Mary was unable to take the oath and the decision of a frankly inadequate coroner’s report rested on a single witness, the Stout’s servant and the brief medical inspection. The verdict was suicide. At this point we should point out who Mary was taking on. The accused was Spencer Cowper, a young lawyer and the son of the major political family in Hertford. Spencer’s father was the local MP and his brother was also an MP, a lawyer and a successful politician, and later to become Lord Chancellor. Spencer managed Sarah’s financial affairs and the two families were very close and, not surprisingly this closeness finished abruptly after the trial. Mary refused to accept this and took to the law. She issued an affidavit and six weeks after the death of her daughter she had the body exhumed and an autopsy performed by a team of physicians. Spencer Cowper, appeared in front a judge on 16 July 1699. The two parties lined up distinguished forensic teams against each other in the courtroom and the trial constituted one of the earliest occasions on which medical men were allowed to give opinion evidence on behalf of the defence in a criminal trial. Ultimately Mary lost but she had spearheaded an important development in British legal practice. She tried to appeal against the verdict but her case was dismissed on a technicality. The truth is she was ultimately beaten by clever, powerful men working within the establishment while she suffered under the disadvantage of being both a woman and as a Quaker, an outsider. Sarah’s Stout’s death and the consequences are discussed in detail in the book “The Devil in Disguise: Deception, Delusion, and Fanaticism in the Early English Enlightenment.” Well worth a read.